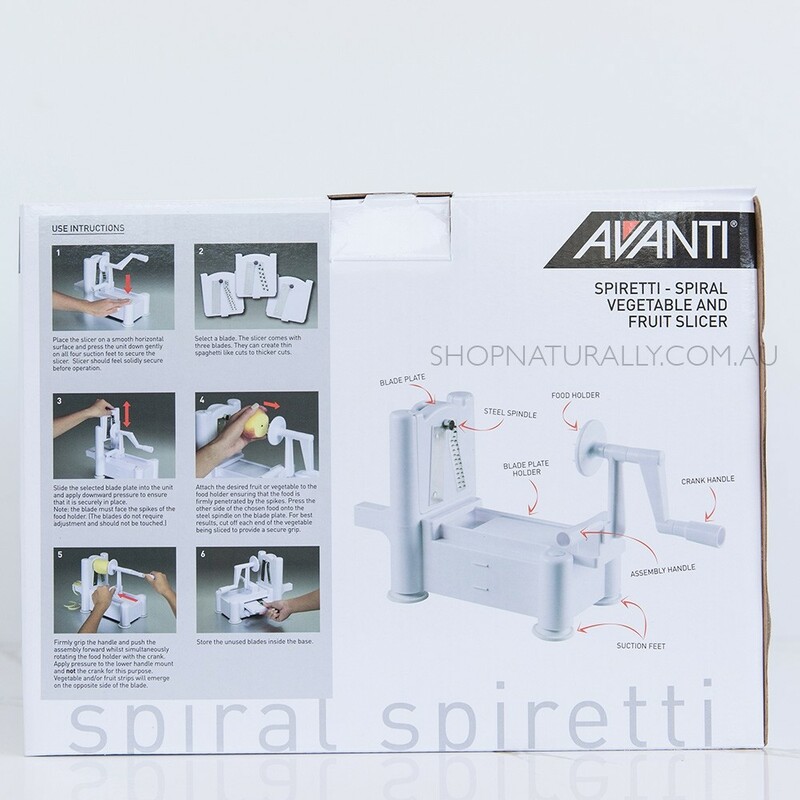 The Avanti Spiretti is a 3 in 1 spiral vegetable and fruit slicer in the same design as the original 'Spirooli' 3 in 1. 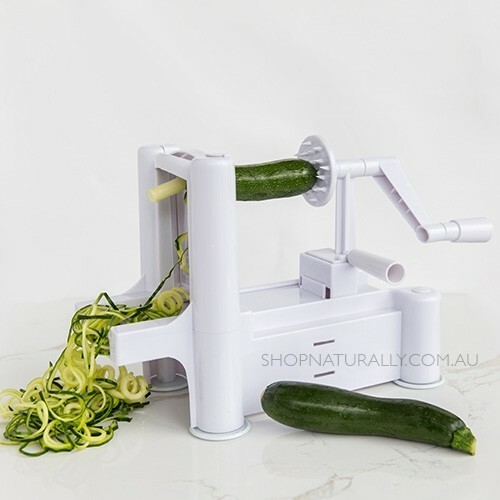 Create zucchini noodles, curly fries, shreded cabbage and carrot for colesaw and more. 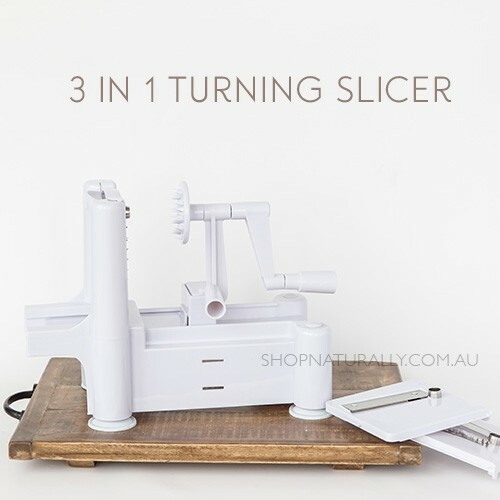 The slicer comes with three interchangable blades that store inside the unit when not in use. 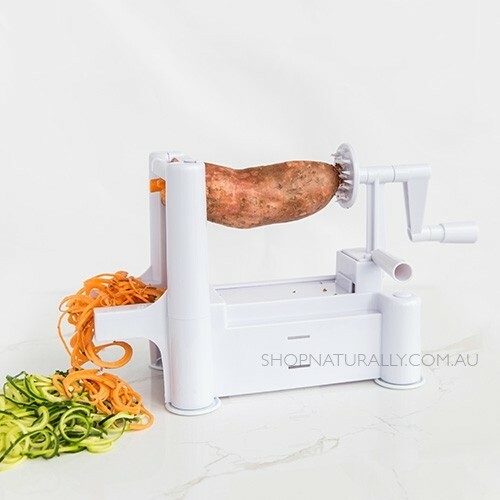 The slicer does not require power to operate. Simply place the vegetables in between the blade and the crank as pictured on the box and turn the handle. Care Instructions Hand wash all components. Take care with sharp blades. Great value for money - works easily and efficiently. My 14 year old daughter is now vegetarian and this has helped her prep her own food and meals are so much healthier for the whole family. Super easy and safe to use, clean and store away! Love it! I have only used this a couple of times, but so far so good. It's great for larger pieces of sweet potato and zuchinni - easy to use and clean. Works really well, so easy!!! So easy to prepare zucchini and carrot spiral pasta now. Quick to set up and clean. And its great to salads now the weather is heating up.